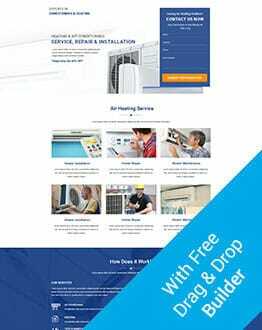 A variety of latest "heating and cooling html landing page template" that focuses on your "Cleaning Services" business. Download the latest and responsive “Cleaning Services” designed by world class designers to generate more traffic and leads. Get our best design services from our lead experts. Our Services : Web Designing, Development, Branding, Customization.